I’ve been spending time in Europe during the Christmas season for almost 20 years. Europe is magical to me at any time of year, but especially at Christmas. Many of our beloved Christmas traditions originated in Europe: the song Silent Night, nativity scenes, Christmas trees and ornaments, St. Nicholas, advent calendars, yule logs… and of course, Christmas markets. 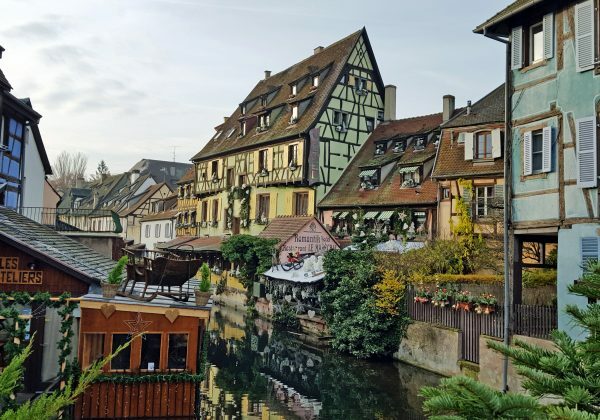 We just returned from our European Christmas Experience, a 12-night trip based in Salzburg, Austria; Munich, Germany; and Colmar in Alsace, France… three very special places to enjoy the Christmas season and Christmas markets. 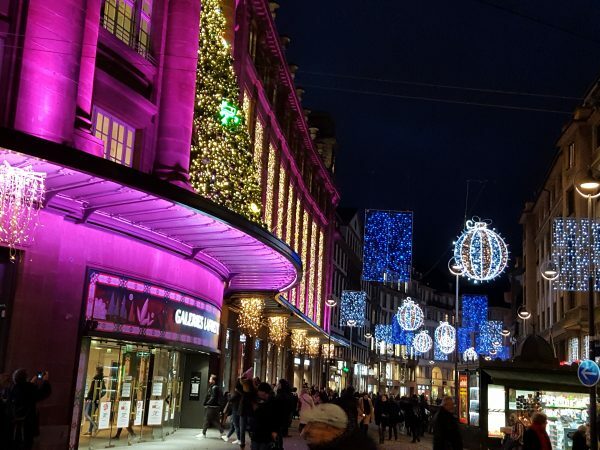 The Christmas season provides an special ambiance for this unique European experience. Our group has the opportunity to enjoy numerous Christmas markets, but our trip includes much more than just the markets in these special places. 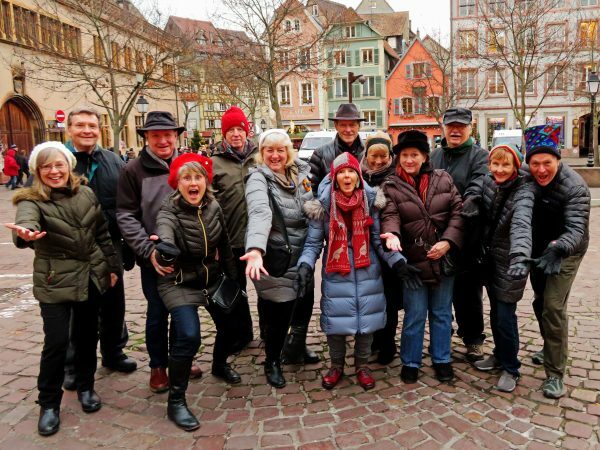 We also enjoy walking tours with local guides, visits to museums and historical sites, meals featuring local specialties, day trips to the countryside and small villages, musical events in Salzburg, a cooking class in Munich, and a winery visit in Alsace. Christmas markets are typically outdoors, usually in central squares or along main thoroughfares, featuring booths or chalets selling a wide variety of merchandise. You’ll usually find holiday ornaments and decorations, nativity scenes, toys, gifts, handicrafts, gourmet food, takeaway food and much more. 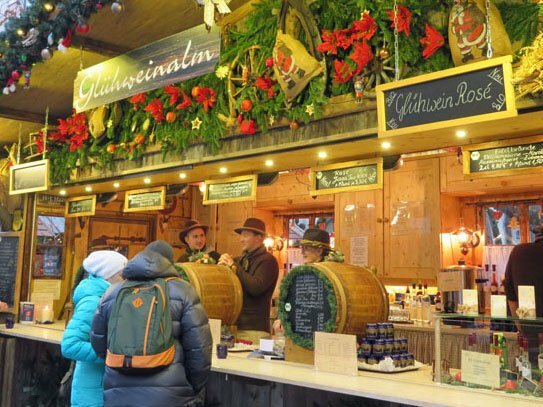 Most markets have numerous stands selling hot mulled wine (“glühwein” in German or “vin chaud” in French). These colorful stars are very popular with our travelers… they also pack flat! Markets may feature music and other entertainment, as well as special activities for children. Some markets feature only products made by local artisans or focus on food specialties. 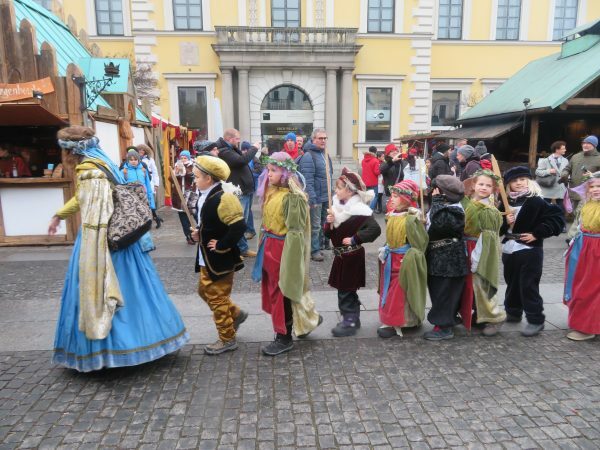 And there are “theme” markets, such as the medieval market our group visits in Munich. The markets are especially magical after dark because of the lights. Christmas markets typically run during the Advent season… the four weeks leading up to Christmas, though some markets begin a bit earlier. In bigger cities and towns, the Christmas markets operate every day of the week. 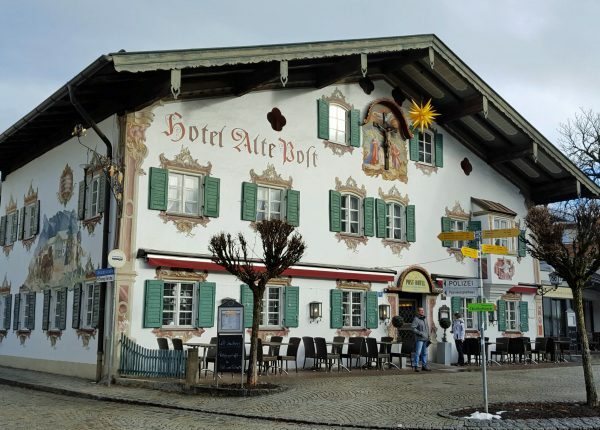 In smaller towns and villages, Christmas markets may be held on just a few weekends or only on a special day. The most popular markets can get quite crowded. 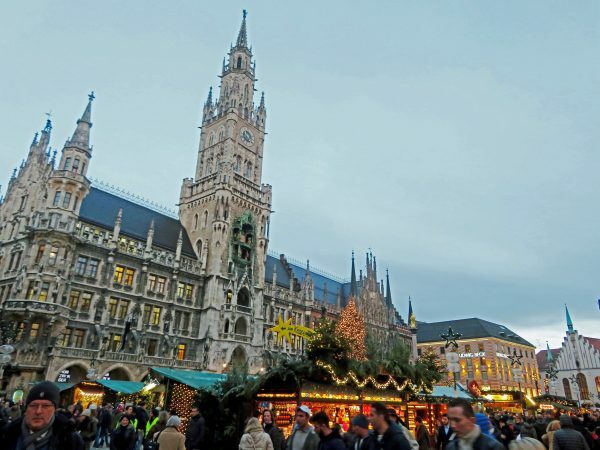 The European Christmas markets are increasingly drawing tourists from around the world, on independent trips or tours. But the majority of market-goers don’t come far. Europeans travel from other areas to celebrate the season and enjoy the surroundings and regional food. And on weekends the Christmas markets are especially busy, filled with local people, students, and families. The decorations and lights add to the Christmas spirit. 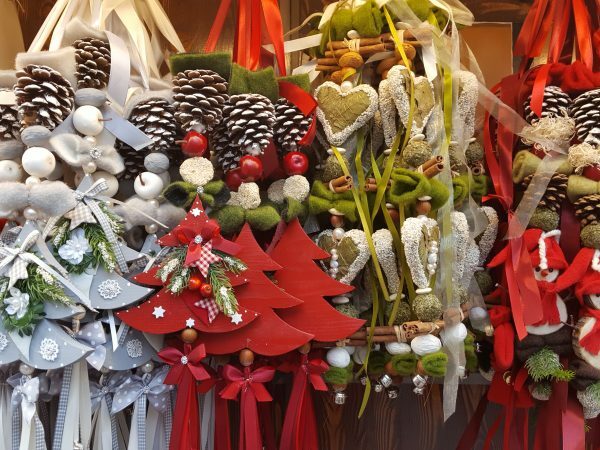 The decorations are especially elaborate in Alsace, where some communities have contests to recognize the best decorations. In the small walled village of Bergheim, there’s an annual “chemin des crèches,” where residents, businesses, and associations set up traditional and creative nativity scenes… more than 80 this year! Most churches in Alsace also include a nativity scene at this time of year, sometimes including figurines that have been used for more than 100 years. 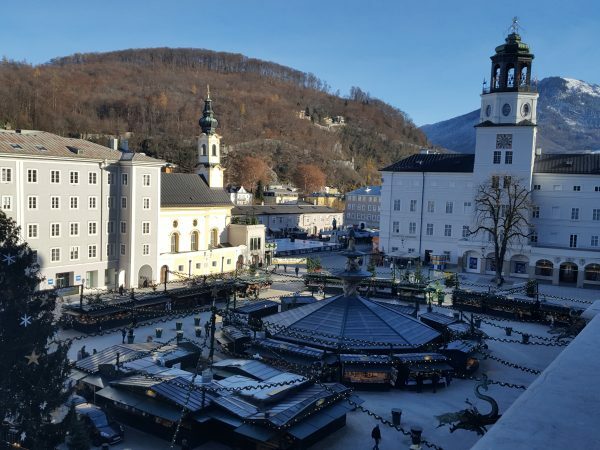 Our Christmas Experience trip includes three countries (Austria, Germany and France), with bases in a big city (Munich), a small city (Salzburg), and a town (Colmar). 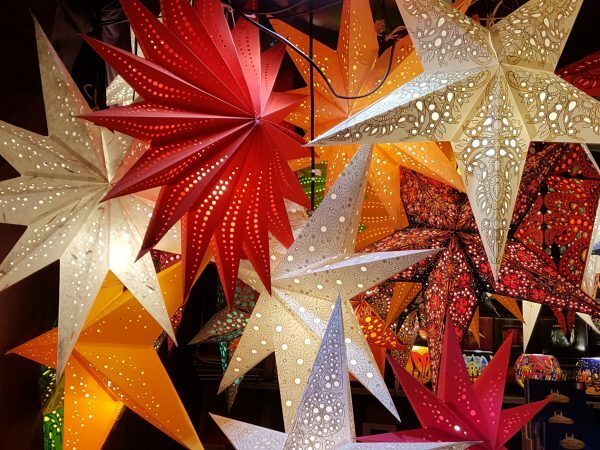 Each of these areas is unique and offers some meaningful differences in their Christmas markets. Regardless of how much a “shopper” you are, we believe everyone will enjoy the festive Christmas season in Europe. Whether you’re traveling on your own or in a group, our tips will help you ensure a fun and positive Christmas markets experience. Plan a varied itinerary that includes other activities and places… not just the Christmas markets. Some people are surprised to find that regardless of the country, many Christmas markets are fairly similar…you’ll often find very similar merchandise. 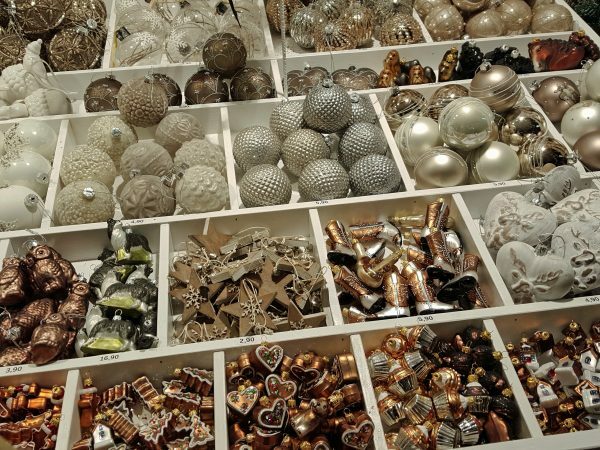 Even the most serious shopper will find it difficult to focus only on Christmas markets on a “Christmas Markets” trip. We like a mix of cities, towns, villages and the countryside, and we also enjoy indoor cultural activities. If crowds bother you, plan your itinerary carefully. Avoid the most popular markets, especially on weekends and evenings. Instead, visit lesser-known markets or visit markets earlier on weekdays or during the daylight hours. When you first arrive at a larger place, stop by the tourist office to get a map of the city or town, including the location of Christmas markets. Before your trip, you can also visit Tourist Office websites to learn more about the markets and the schedule for any special activities. Book hotels early, as popular places can fill a year in advance. I also suggest making lunch and dinner reservations in advance, as it can be difficult to “walk in” during the busy Christmas season, especially on weekends. Dress warmly! It can be C O L D, especially when the sun goes down—which can be before 5:00 pm. There might also be snow… which adds to the atmosphere but also can be challenging. Bundle up in a warm coat, hat, scarf and gloves… or buy new ones there. You’ll find plenty of stands selling winter gear. I bring silk long underwear for especially chilly days. Wear comfortable walking shoes and warm socks. Markets are usually in pedestrian areas in town or city centers and can cover a large area. You’ll be doing some walking! Bring a lightweight, collapsible shopping bag to more easily carry and consolidate your market purchases. If you’re planning some serious shopping, pack a lightweight,collapsible duffel bag in your luggage. Use this to carry your Christmas market treasures home, ideally as your second carry-on item to protect fragile items. You may want to bring bubble wrap and tape with you, as market sellers don’t always wrap breakables well for long-distance travel. If you see something you love—buy it! Some markets are quite large, and it may be difficult to find a stall again if you pass something by the first time. If I don’t buy this now, will I find this stand in Munich again? Learn a little of the local language so you can greet and thank the sellers. Most sellers will speak enough English to answer basic questions about their merchandise, but they always appreciate your efforts to speak their language. Be careful navigating in crowded booths with glass or fragile items. It can be easy to break something. Bring cash, especially small bills and one- and two-euro coins. Some stands selling more expensive items have credit card machines, but most can’t accept cards. You’ll definitely need cash and coins for small purchases, food, and drink. Take a break to enjoy a hot drink and a snack of local specialties, either at a market stand or in a nearby cafe. Hot wine stands usually serve drinks in colorful souvenir mugs. You pay a deposit you can get back if you don’t want to keep the mug. You can also use your mug for refills. Non-alcoholic hot drinks like hot chocolate or hot fruit punch (“kinderpunsch”) are usually available. Don’t be surprised if you see armed guards at some markets, an unexpected contrast to the festive atmosphere. They’re there to ensure your security. Always be very careful with your billfold and purse in crowds, especially after dark. If you use a backpack, carry it in front of you. Leave your passport at the hotel. Handle your cash very carefully. Don’t accidentally flash lots of money when people are nearby. Carry small bills and coins in your pocket for easy access. We’ll return for our next European Christmas Experience, December 2 – 14, 2019. Our 2019 trip will follow a similar 12-night itinerary to our 2018 trip: four nights each beginning in Salzburg, Austria; then traveling to Munich, Germany; and ending in Colmar in Alsace, France. You can leave the itinerary planning and logistics to us, as you get to know the best of each of these areas and explore the Christmas markets. We still have a few spots open in our 2019 trip. 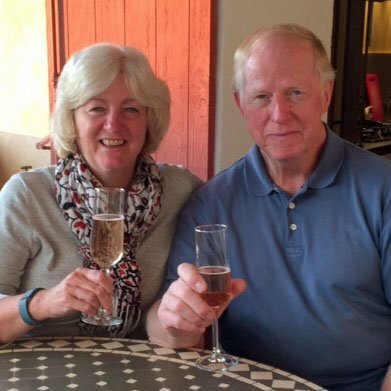 See our website for more information about this trip-of-a-lifetime…. we’d love to have you join us!